10 Easy and Effective Ways To Get Rid Of Tan Right At Home. Summers are here and what bothers me the most is the Sun Exposure. The tan which we are going get now by roaming & catching up with our friends at connaught place at 1 pm, gives me nightmares. Being an introvert can be only our savior, here! Since our childhood we have been taught Sun is the best source of Vitamin. D. We can spot white-skinned people with burnt like reddish kinda skin playing under the sun on beaches. I too got motivated once but there is no thing like Good Tan. I mean we can't stop ourselves from having fun and doing whatever our heart says but we can prevent the aftermath of skin ageing and pigmentation by following some simple regimes. For that 2-3 hrs direct sun exposure per week is sufficient. Also the melanin produced will help delay hair graying too. My recent day out for swimming changed my skin tone and then again had to walk under the Sun next day, added to the misery. Clouds may give a false sense of security. Never ever skip a sunscreen, thinking it is not sunny today as the harmful UV sun rays are still present around us. Reflected light can damage too. On sunny days, even if you are in the shade, sun can reflect on to your skin. Sand, water, concrete and snow are good reflectors of sunlight. 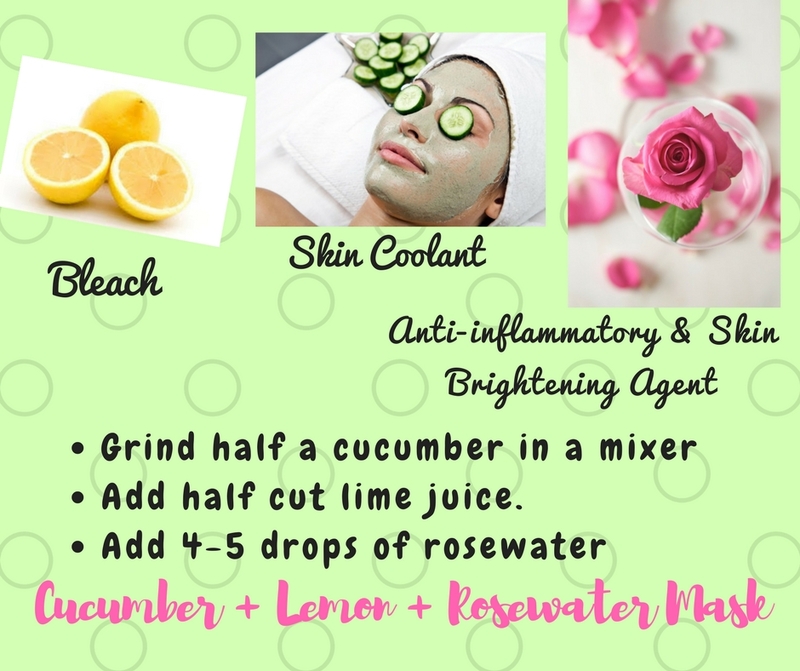 Note : Cucumber will give out a lot of water, so don't add any water. All your blemishes and tan will go away with continuous usage. This face pack involves scrubbing out dead cells. 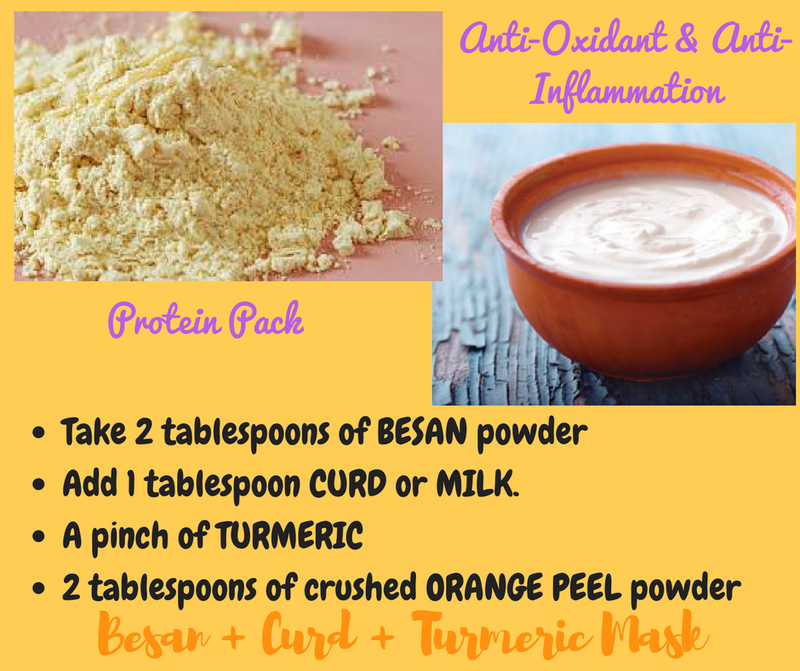 This delicious fruit pack helps remove sun tan by using the goodness of enzymes like beta-carotene and phytochemicals help in promoting fairness, removing sun tan and visibility of scars and blemishes. Another enzyme called papain even tones the skin by dissolving dead skin cells. Moreover, it is also known to slow down facial hair growth and prevents ageing by activating collagen. The application of honey on chapped lips is an age old remedy. Honey helps in moisturizing and softening the skin. Let it dry for 20 mins and wash with cold water. Note: I make the use of peeled off papaya skin and extract pulp from that with the help of a spoon. This way we make the use of every inch of our fruit and minimizing the wastage. This face pack incorporates the powerful bleaching properties of lemon, tomato and yogurt and is one of the best face packs for improving the skin ton. 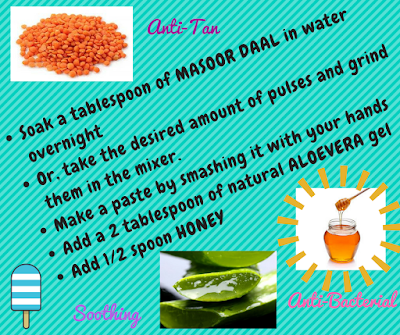 It works wonders in removing dark spots and pigmentation from sun kissed skin. 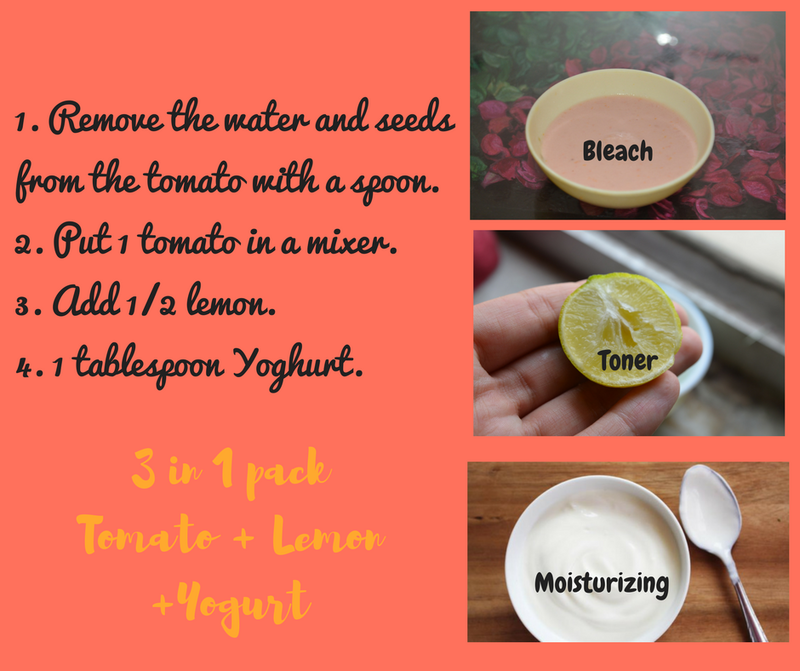 In addition, tomato juice works as a natural toner to shrink open pores and reduce oiliness of the skin, whereas yogurt helps in moisturizing and nourishing the skin. Let it dry for 30 minutes. Wash with cold water. 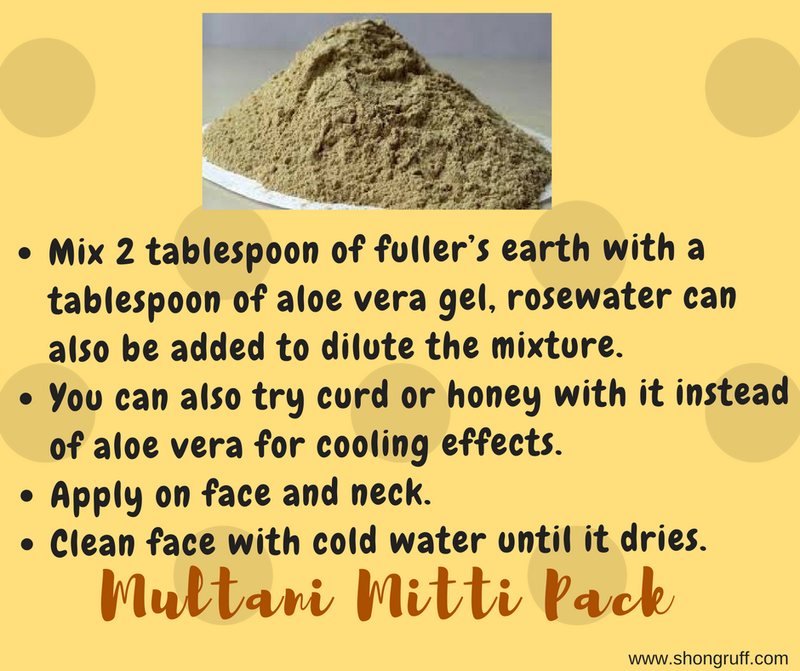 Apply this pack twice in a month in Summers. 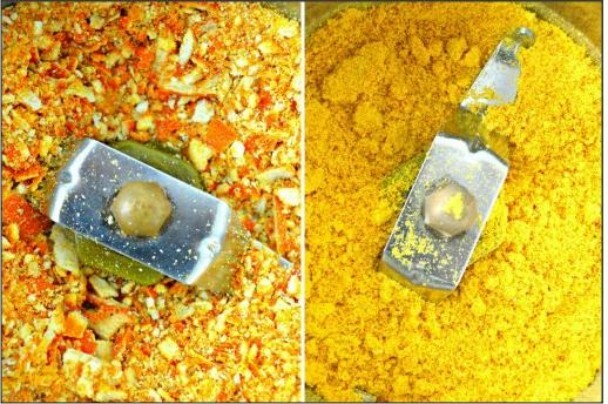 How to use red lentils? 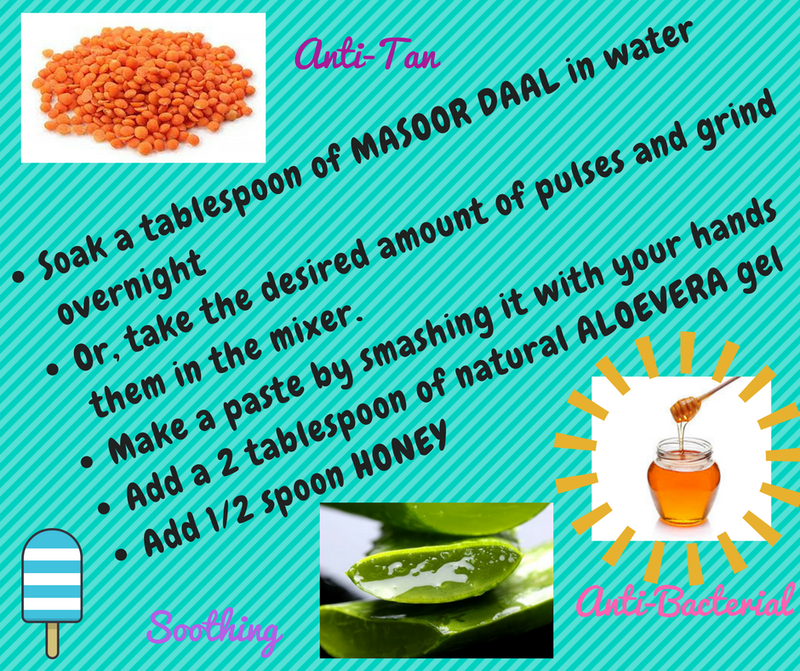 Red lentils help in clearing even the extreme of tanning. The plant steroids found in aloe vera gel soothes irritation, inflammation of the skin and helps in healing sunburn and suntan. 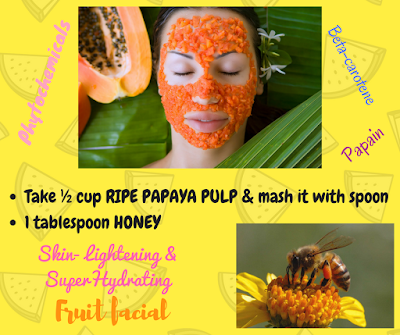 Honey moisturizes and adds suppleness to the skin. It also acts as an anti-bacterial agent. 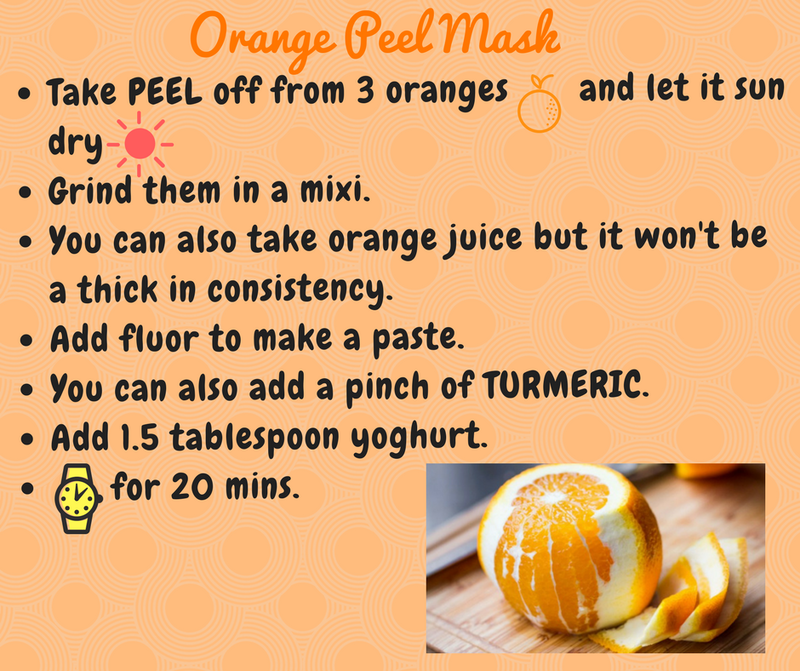 This face pack is an amazing sun tan remover that regenerates new skin cells with the help of vitamin C. Orange is rich in vitamin C that helps fight skin blemishes and improves skin texture and skin tone. 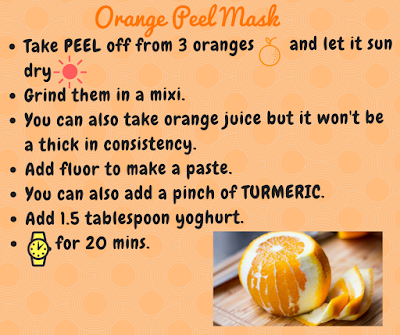 Collagen found in orange slows down the process of aging and helps in skin firming. 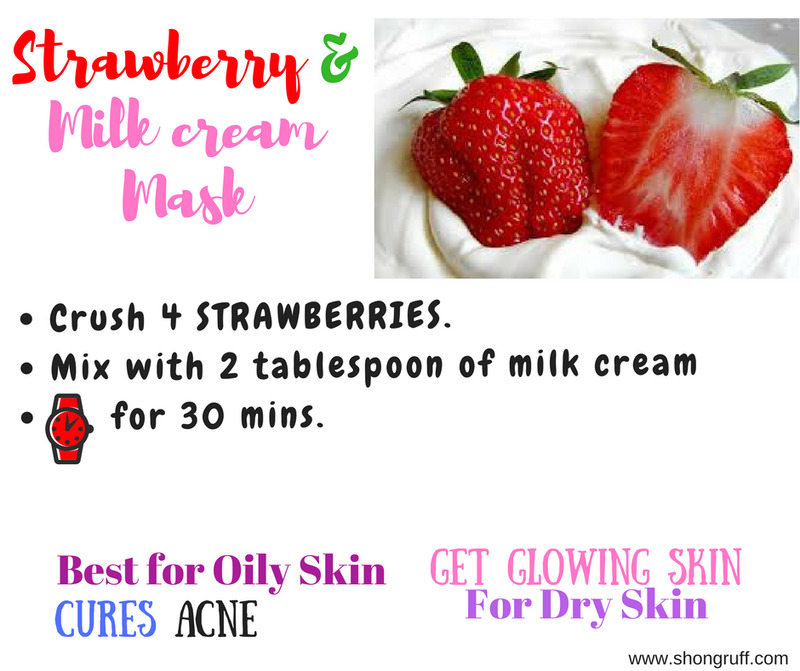 Yogurt acts as a natural bleach and moisturizer to make skin soft and supple. 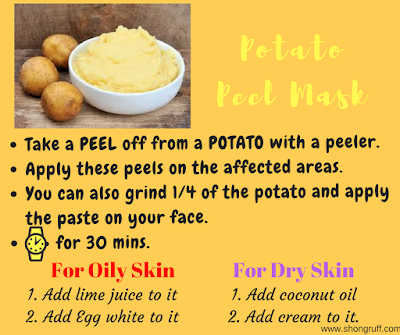 I love home made french fries but do you know potato has huge benefits for skin too! It contains Lutein that protects skin from harmful effects of the sunlight. Also the Starch which is known to add silkiness and whitening effect to the skin. 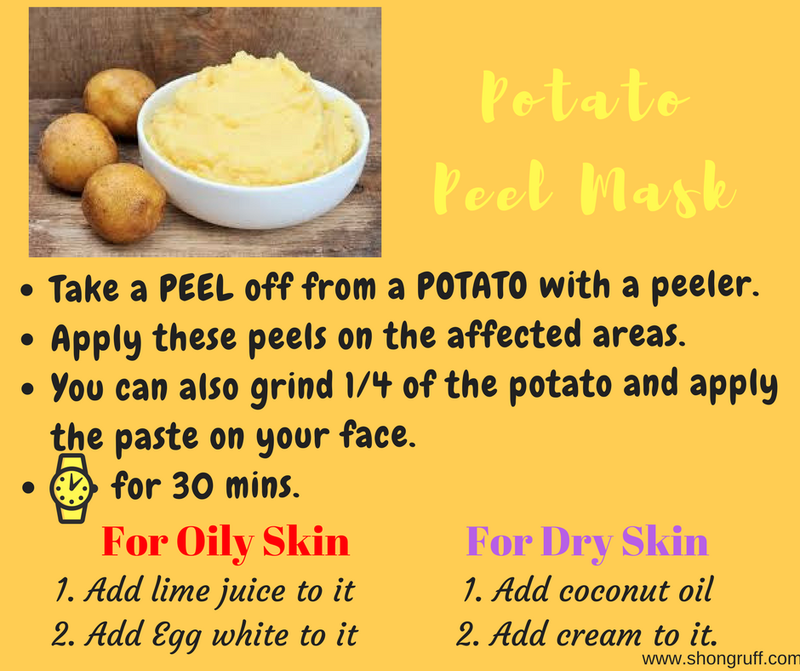 Potatoes are one of the age old remedies for sun tan that uses the goodness of Vit.C to lighten skin tone and add a healthy glow to it. Potato juice helps treat skin aging, blemishes, and acne because of presence of Choline. 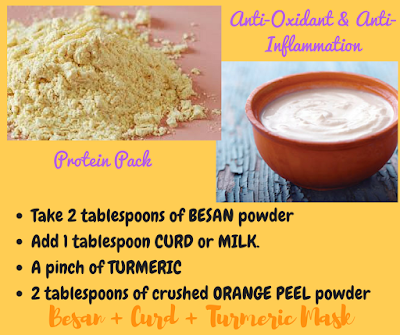 This yummy combination makes a mouth-watering treat. 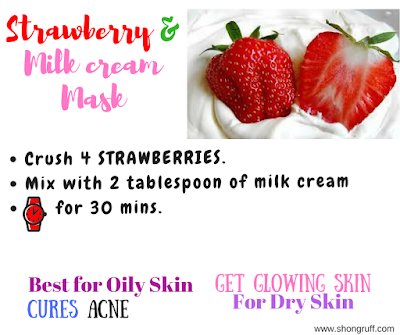 But these bright red berries have skin lightening properties that help in improving skin complexion and reducing dark spots, pigmentation, and freckles. 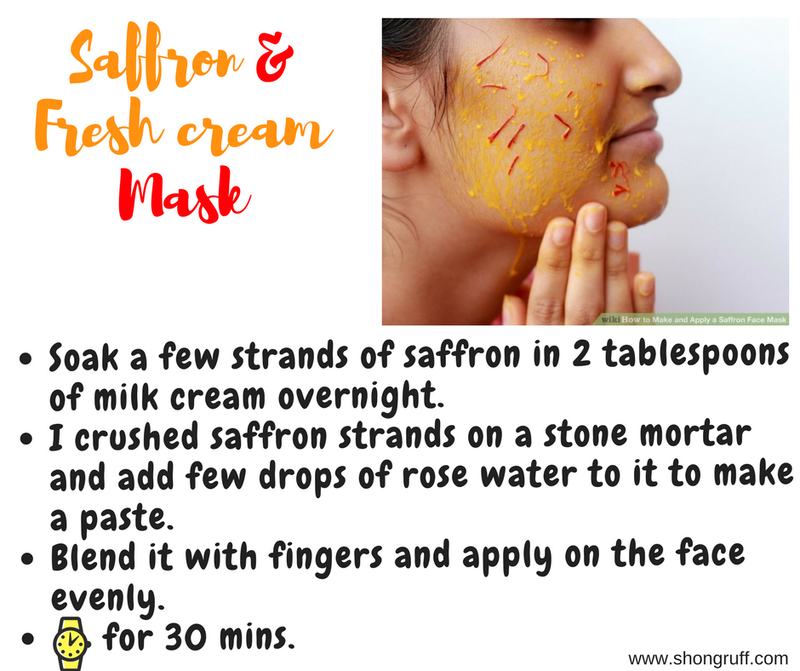 Saffron (Kesar) has been an age old beauty secret ingredient. Saffron helps in natural skin brightening, toning, tan removal, fighting acne and pimples. When it comes to overall skin care, there is nothing like fuller’s earth. It has cooling effects that literally takes out the heat out of our skin. 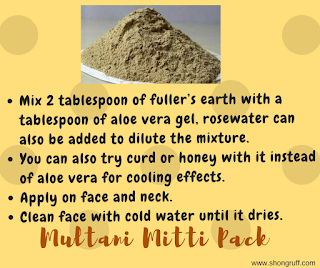 It helps in reducing skin irritation, rashes, acne and blemishes. Actually there are so many, literally so many natural ingredients to stay beautiful and radiant your whole life. Start with these easy recipes and share your experiences in the comment section below. Get a good tan, love! Which of these packs are you gonna trying first? Going to have to try some of these!